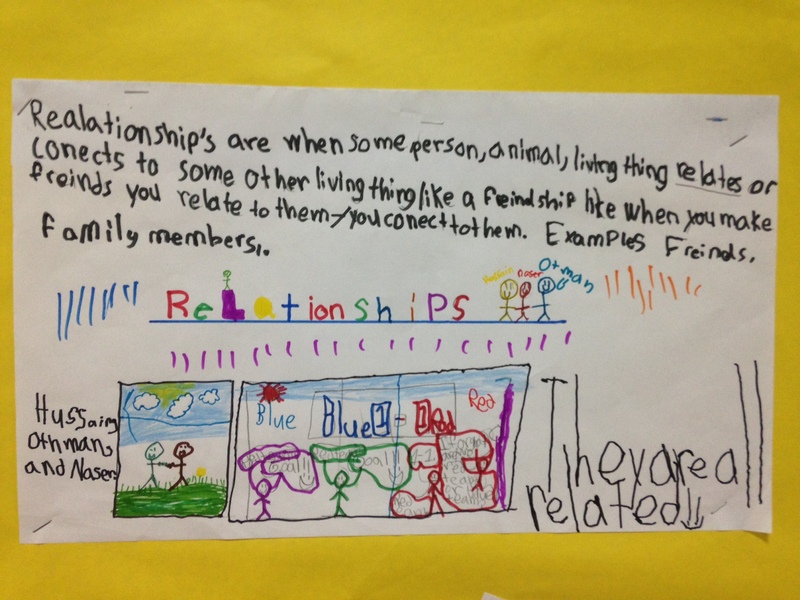 Grade 1: Peaceful relationships are created through mutual understanding and respect. 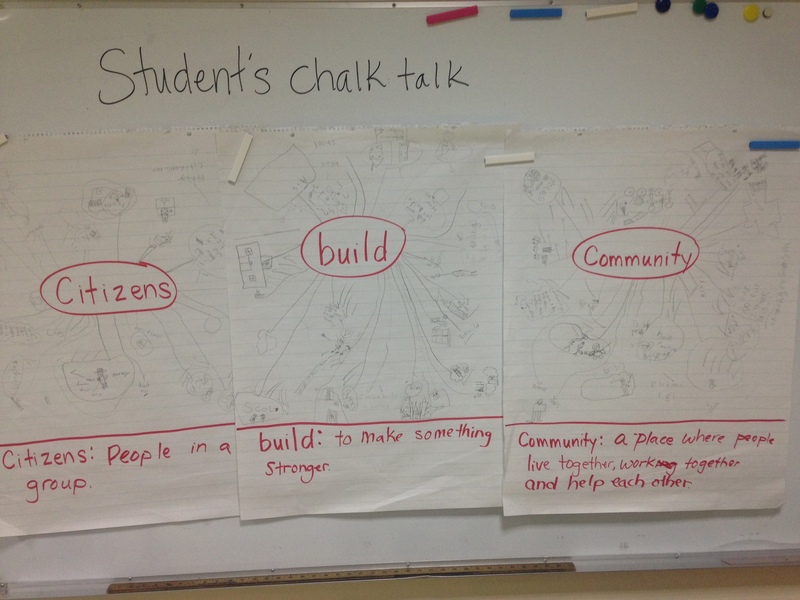 Grade 2: Citizens build communities. 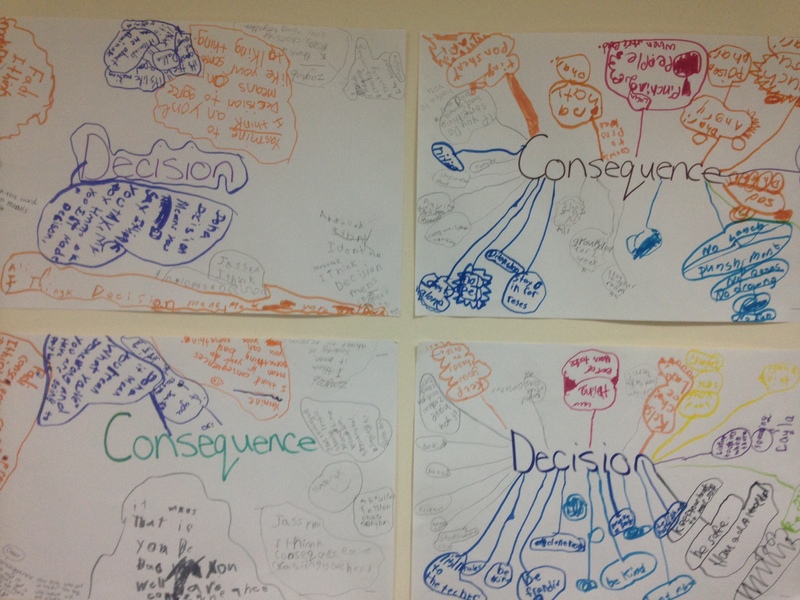 Grade 3: Decisions impact conseqeunces. 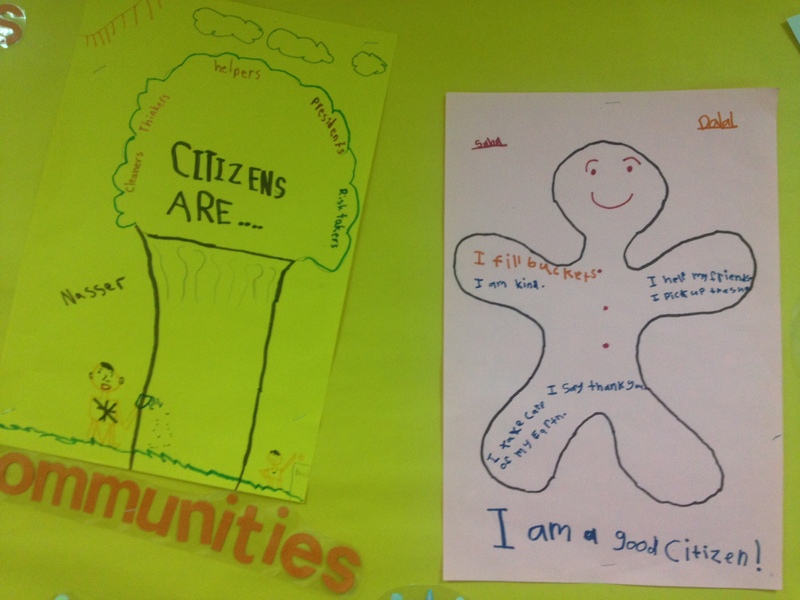 Grade 4: Relationships are affected by learning about people’s perspectives and communicating our own. 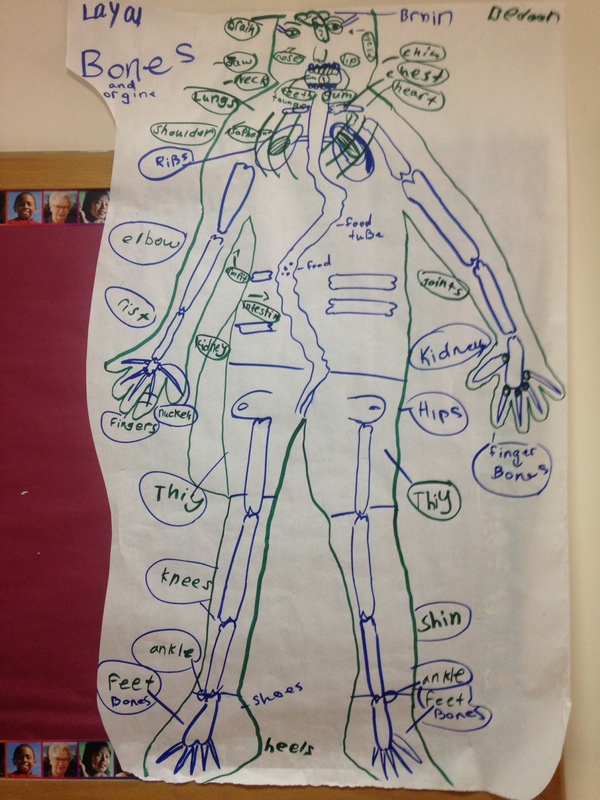 Grade 5: Relationships among human body systems contribute to health and survival. 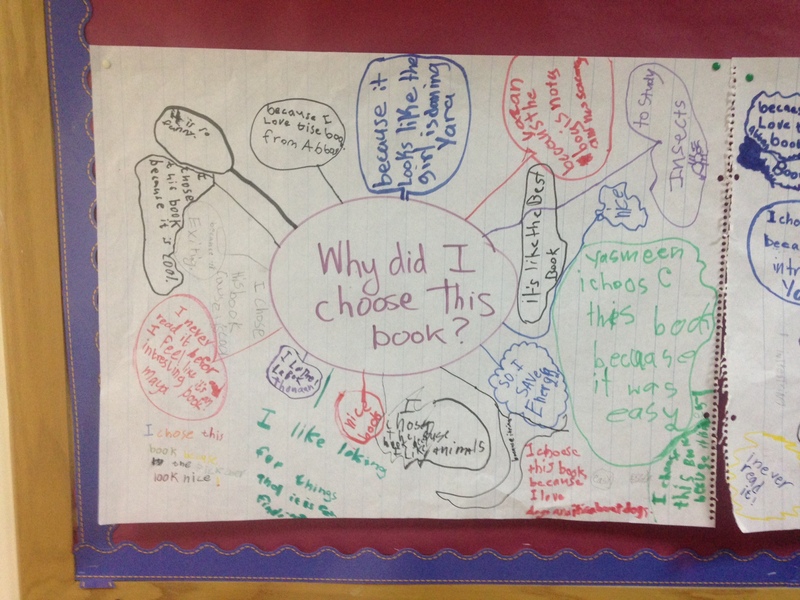 I love that the students’ thinking is front and centre! 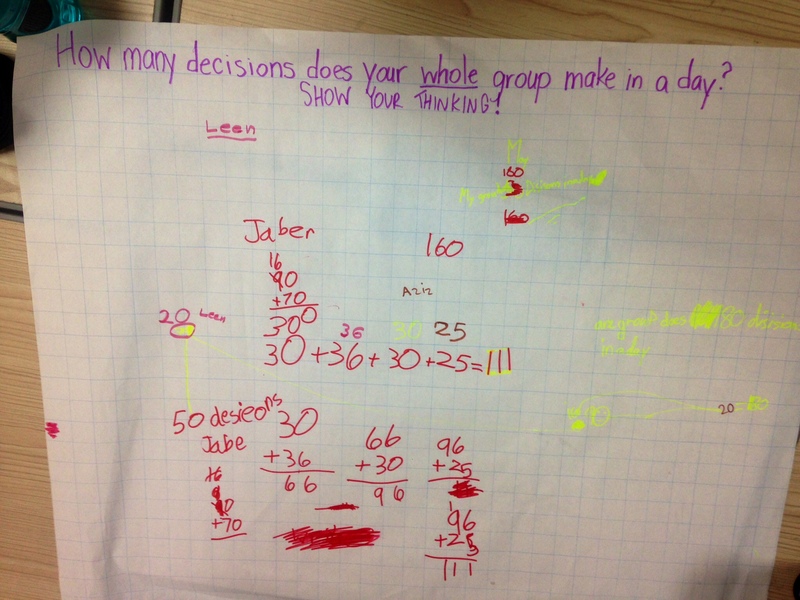 I love that the students’ thinking is visible! 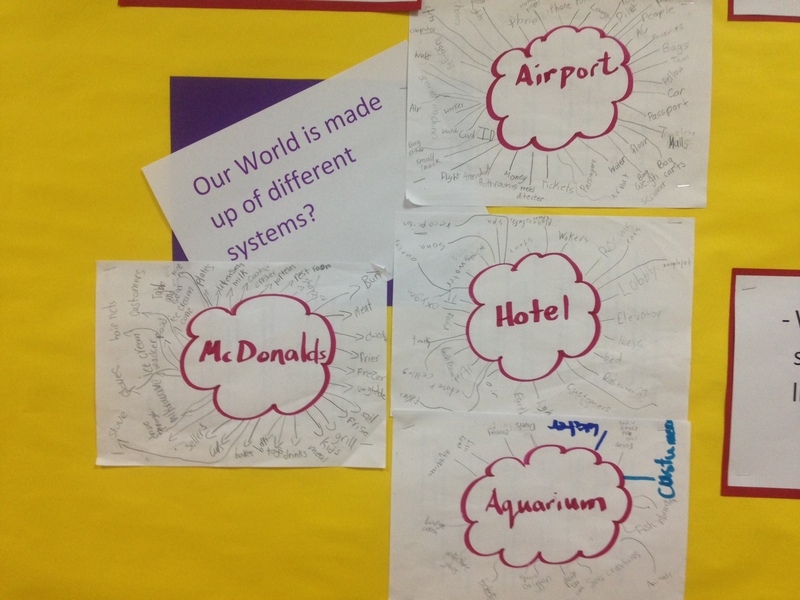 I love that students were able to demonstrate their thinking in a variety of ways! 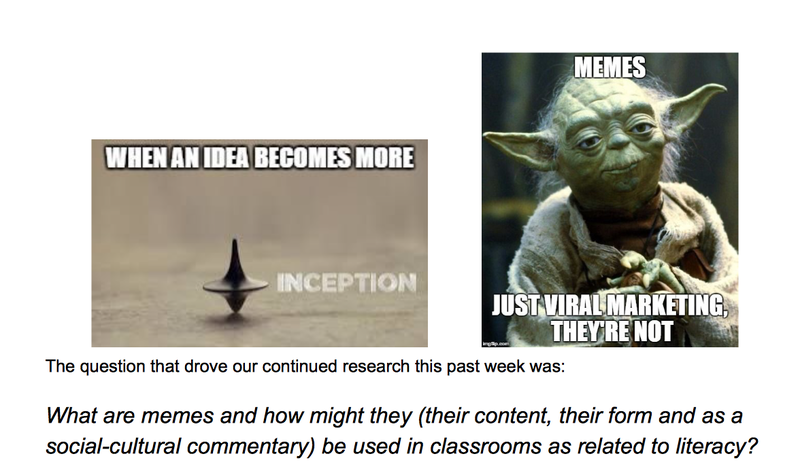 I love that teachers tuned into conceptual understandings, not just topic knowledge! 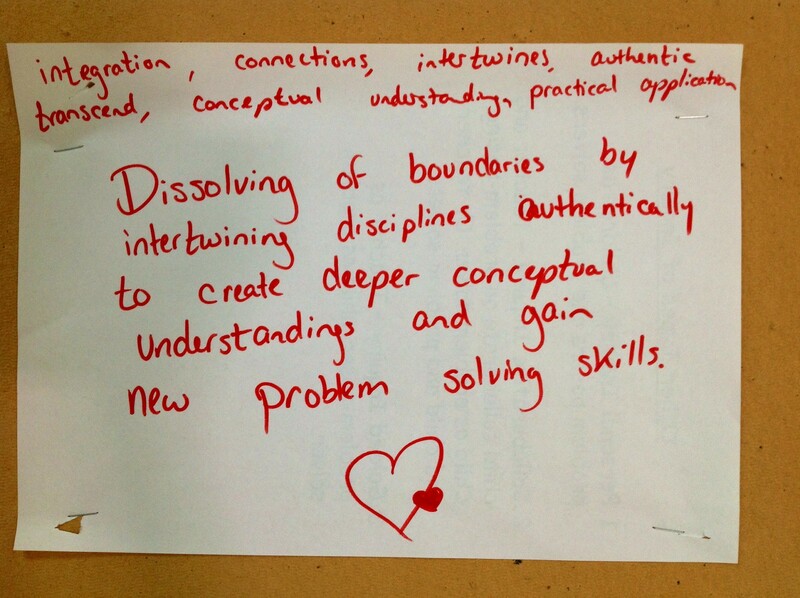 I love that transdisciplinarity is evident! 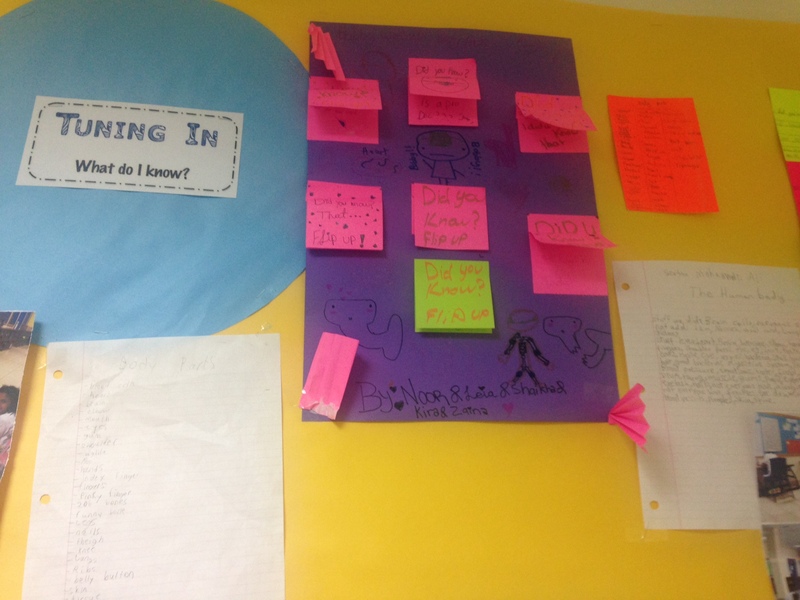 I love that teachers were acting as inquiries themselves… doing reconnaissance to find out about what their students bring to a Unit of Inquiry! 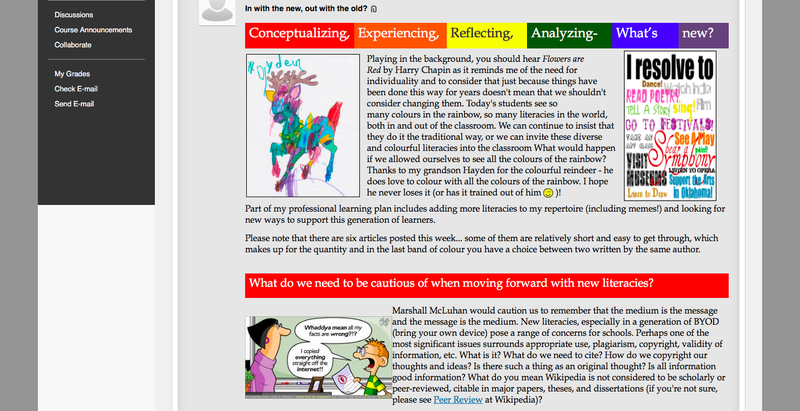 The feedback from teachers about “tuning in” has been great! 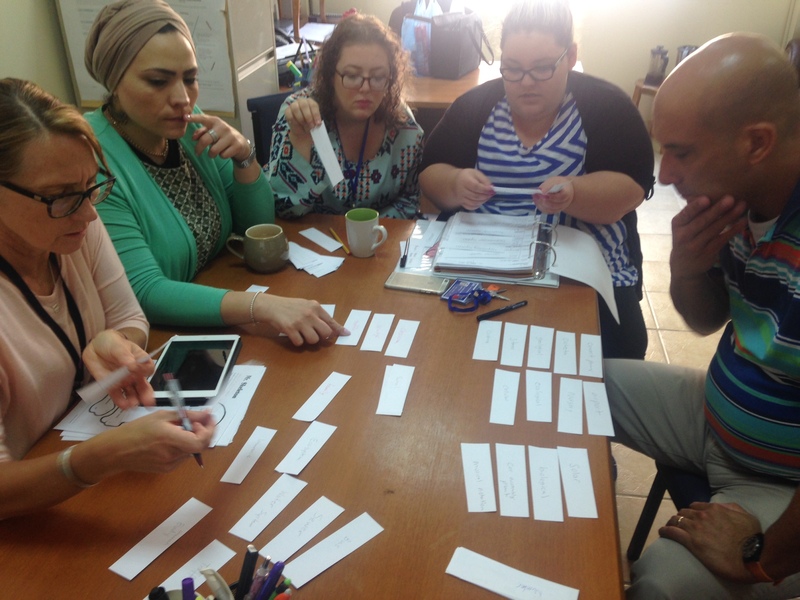 Teachers are excited because they have learned about their students’ prior knowledge, their misconceptions, their interests and their questions. 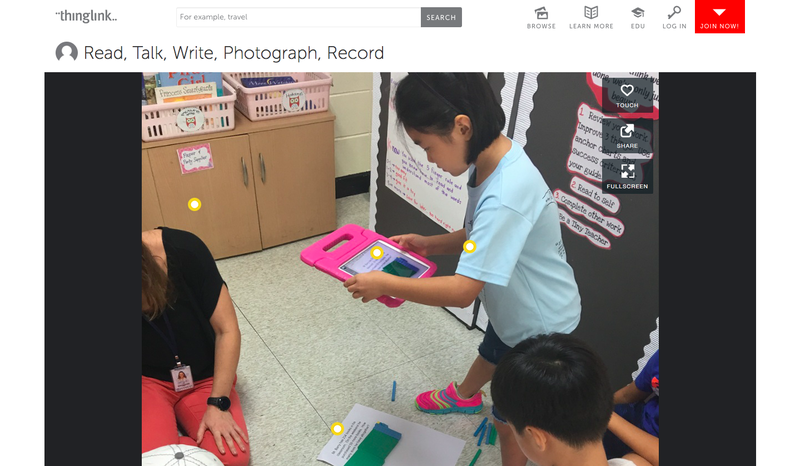 It has not only provided them with diagnostic assessment data, but also a road map that illuminates “where to next?” based on students’ needs and interests! I can’t wait to see where these inquires lead! 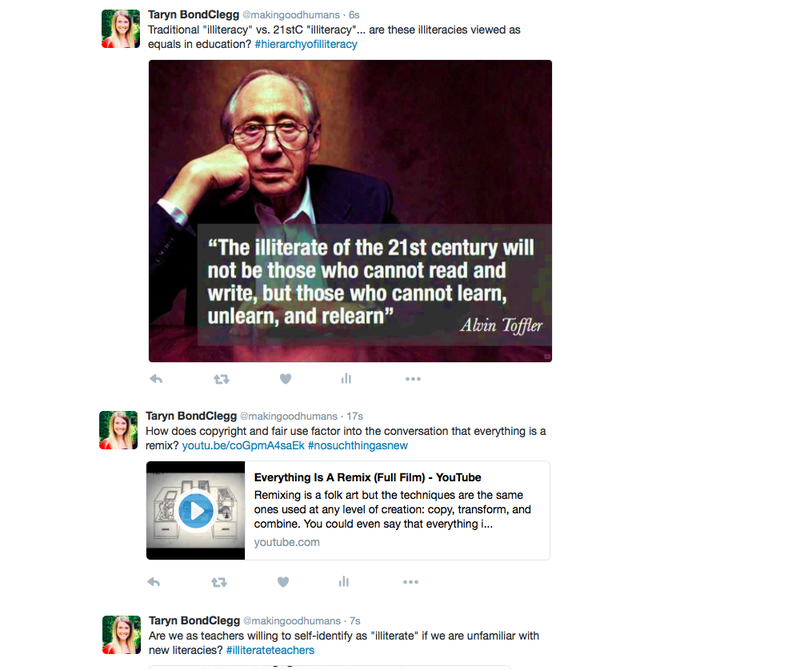 How do you “tune in” to your students’ thinking? 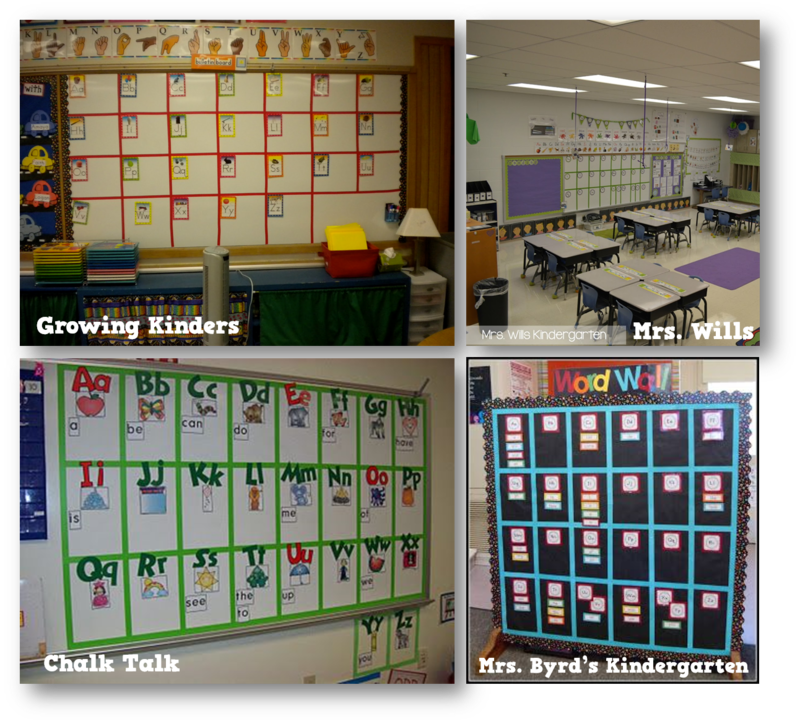 Every year many teachers spend hours upon hours setting up their classroom to ensure it is picture perfect before the students arrive. 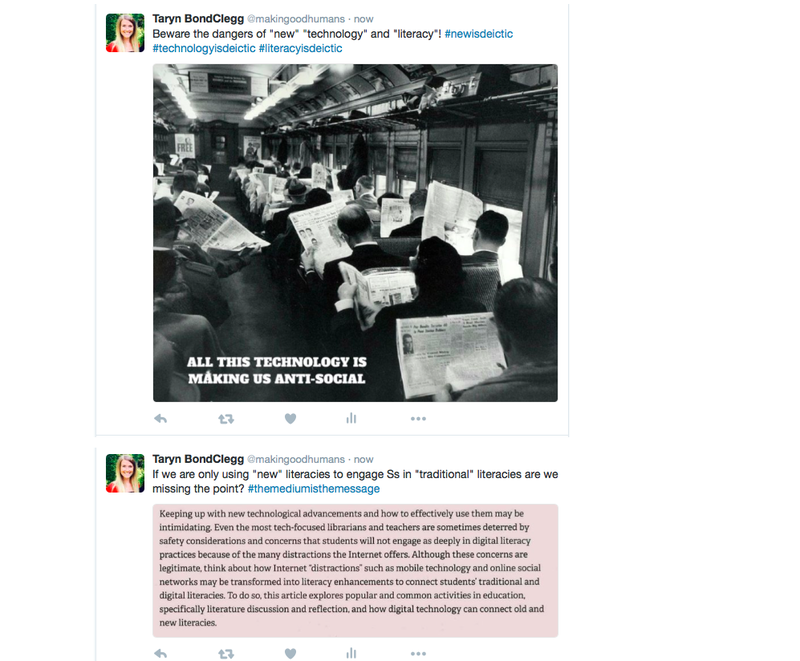 But I wonder, by doing so, are we taking away some great learning opportunities for students? 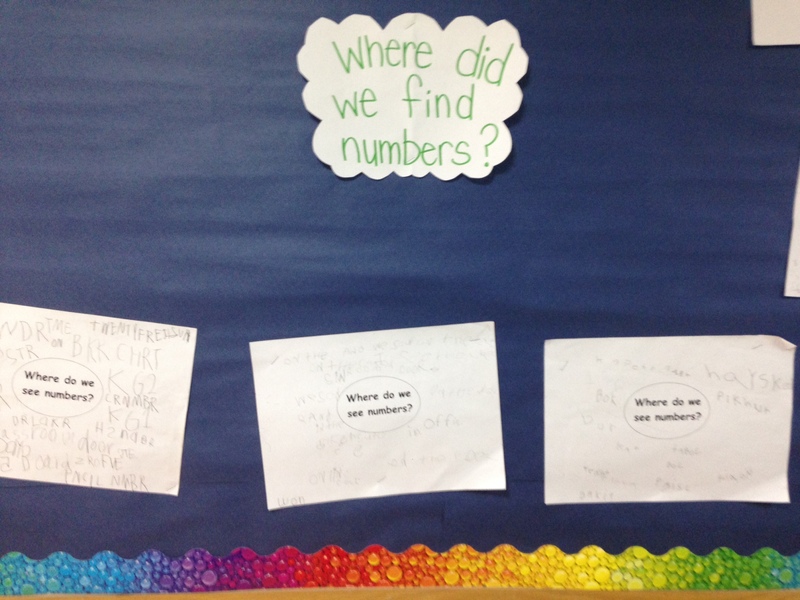 In PYP classrooms, we start the year with blank walls to ensure there is lots of space to display students’ questions and students’ thinking, but what other classroom set-up jobs should we be sharing with students? 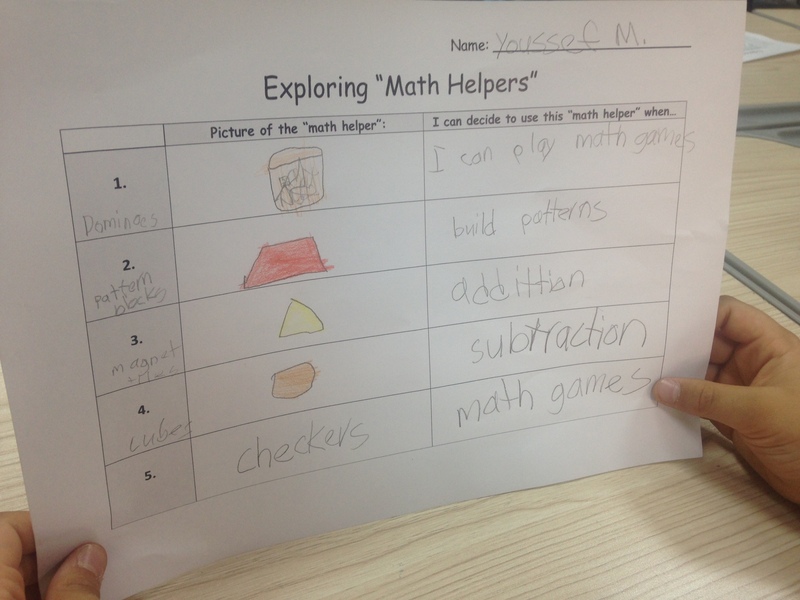 Involving students in classroom set-up is not only a great way to build a sense of community and send the message that it is our classroom, not my classroom, but their are also some great opportunities for math, literacy and transdisciplinary skills… if you’re looking for them! How much paper will we need to cover this bulletin board? How can we figure it out? What tools could we use? Is there another way to figure that out? 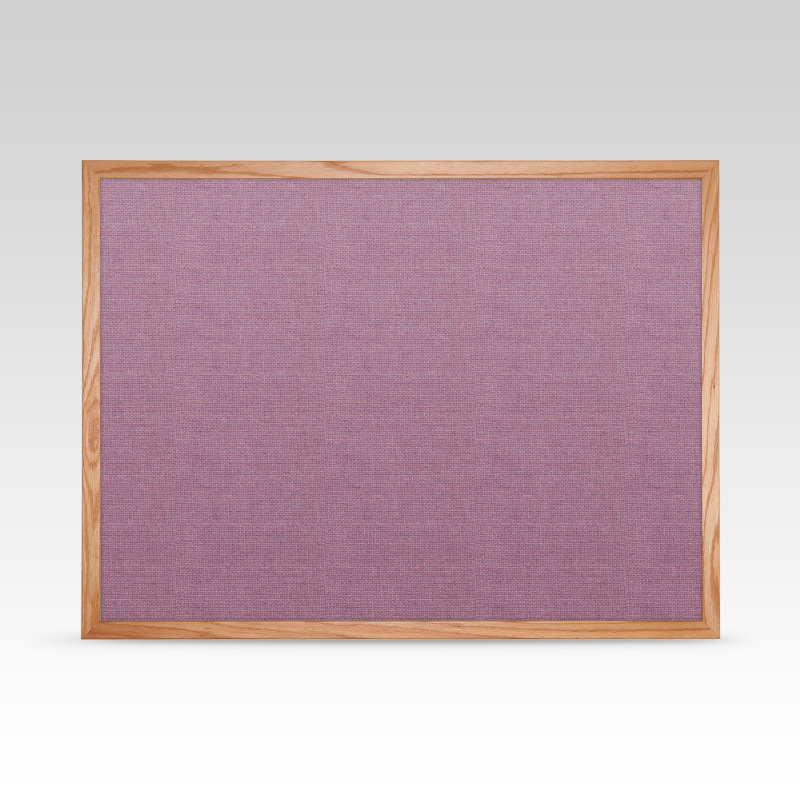 How much border will we need to go around the outside of the bulletin board? How can we figure that out? How wide should the border be? 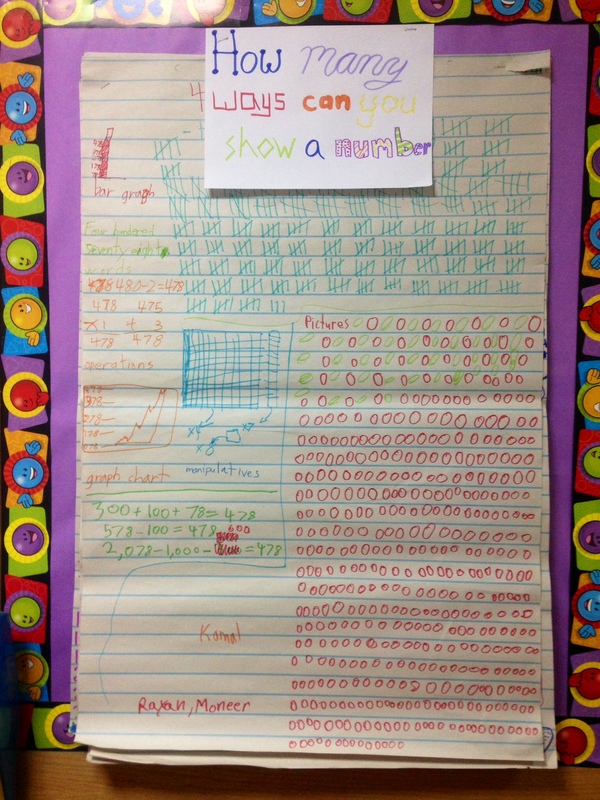 How do we know if we have enough? 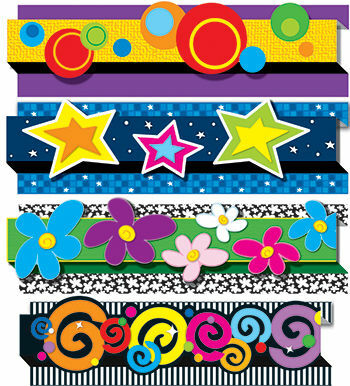 What designs can we put on the border so it is appealing to the eye? How many equal sections do we need? How big will they be? How many rows and columns can there be? How can we be precise? How can we section them off? 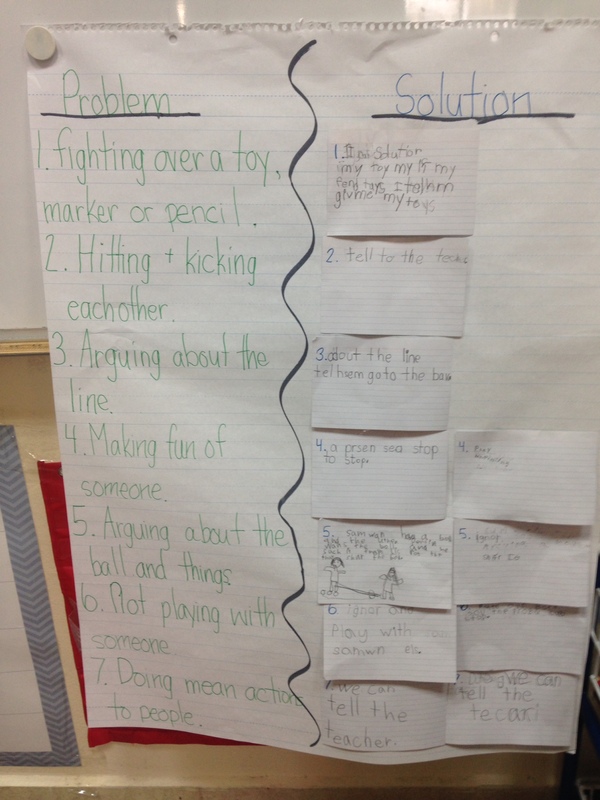 How many different ways can we arrange our desks into groups? How many different ways can we arrange our desks into equal groups? How can we set up our tables to maximize the number of chairs that fit around? Which arrangement gives us the most space? How we can show which cubby belongs to who? Why do we need to label cubbies? What do we need to remember when we write our names? How can we make sure our letter are the proper size and shape? 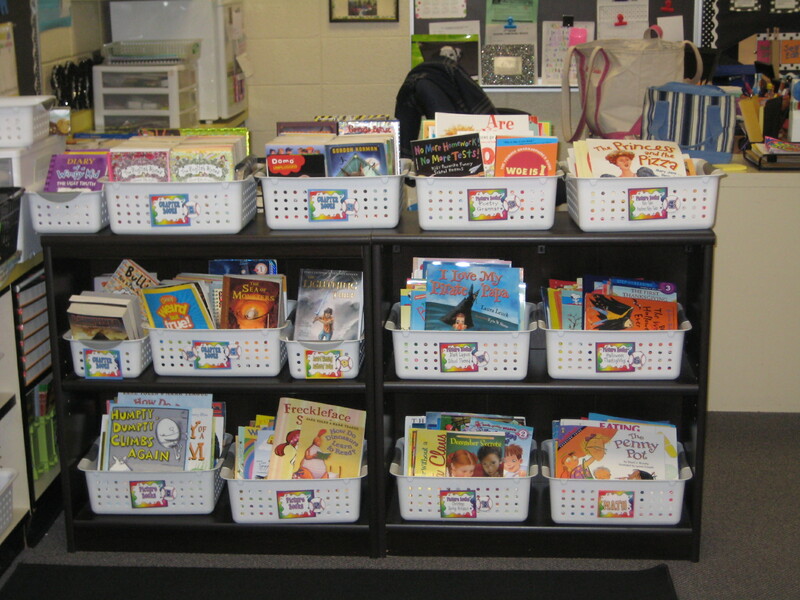 How can we organize our books? Is there a different way to organize them? Where should we put them? How should we label them? 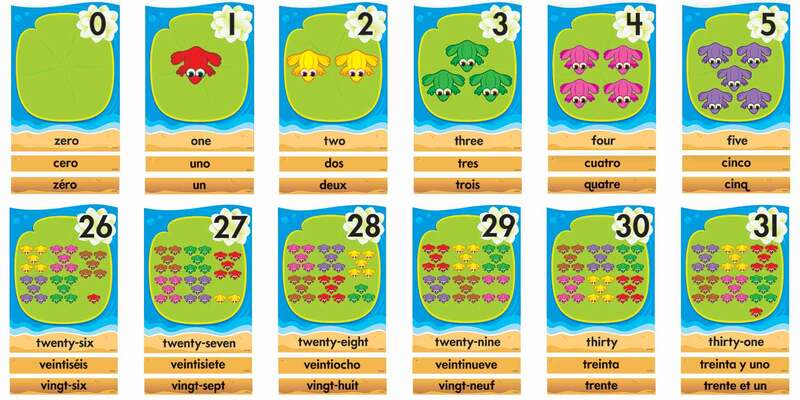 What are the fancy literacy names for these kinds of books? Where can we find out? How many do we have in total? How will people know where to put them back? How can we sort our toys? How can we keep them organized? What should we label each bin? 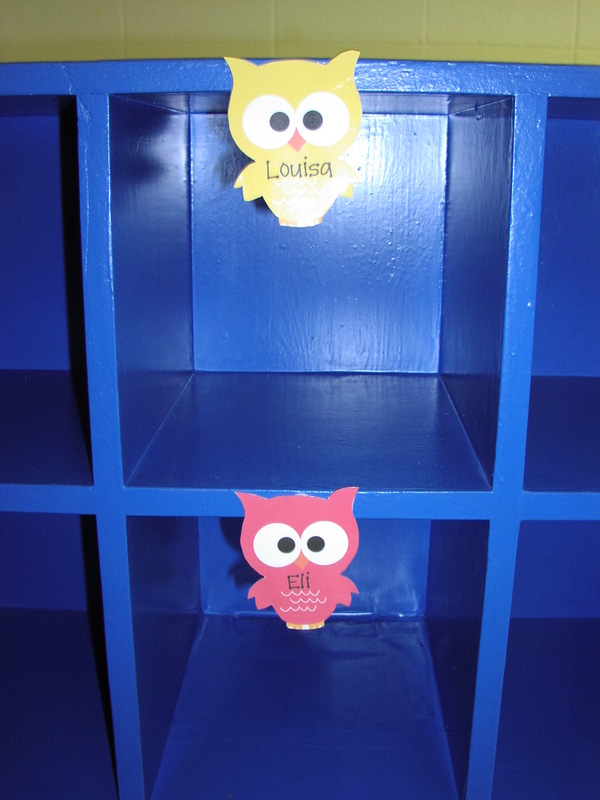 How will students know where to put them back? How do we make this letter? What word starts with this letter sound? Which letter comes next? How do we make this number? How much is that number worth? What number comes next? What is the name of this number? How do we spell it? How do we make/spell this number in our other language? 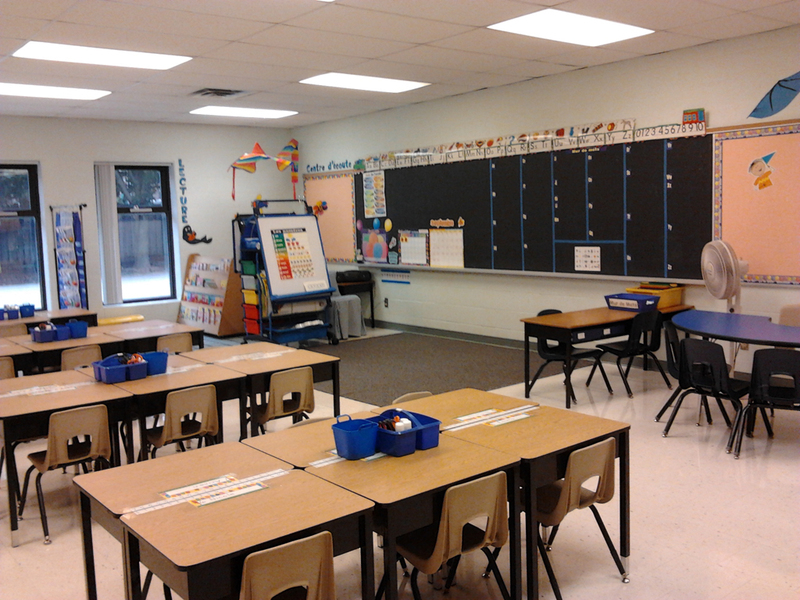 How can we split our classroom time? 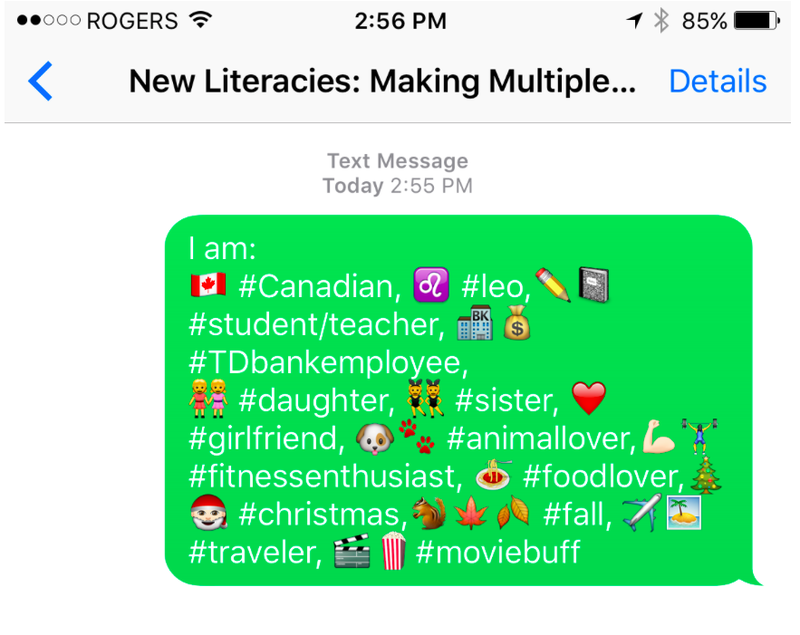 How can we make a schedule that has x minutes total for literacy/math each week? 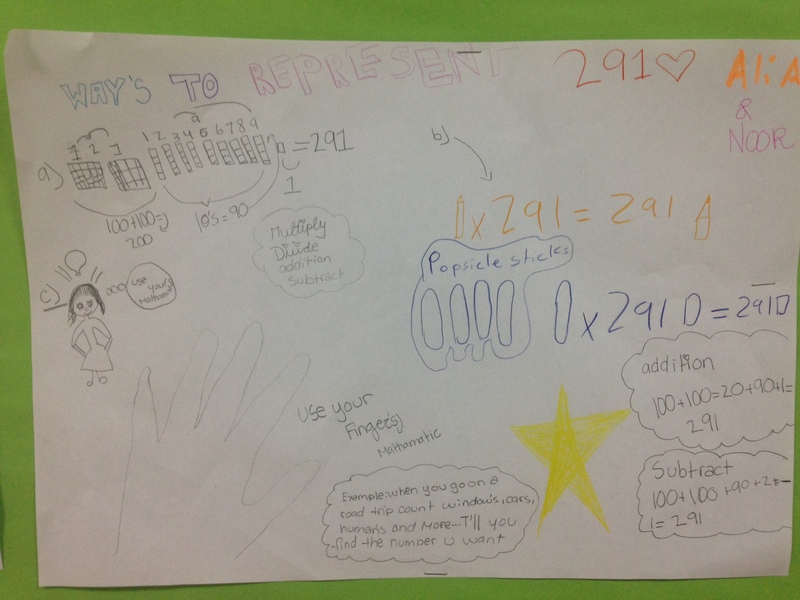 How long is in between first recess and second recess? How can we show that this class is 45 minutes long? 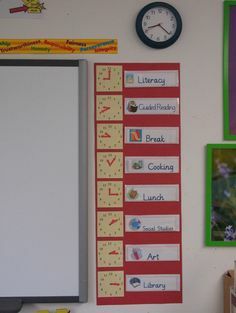 How can we display our schedule? 1. 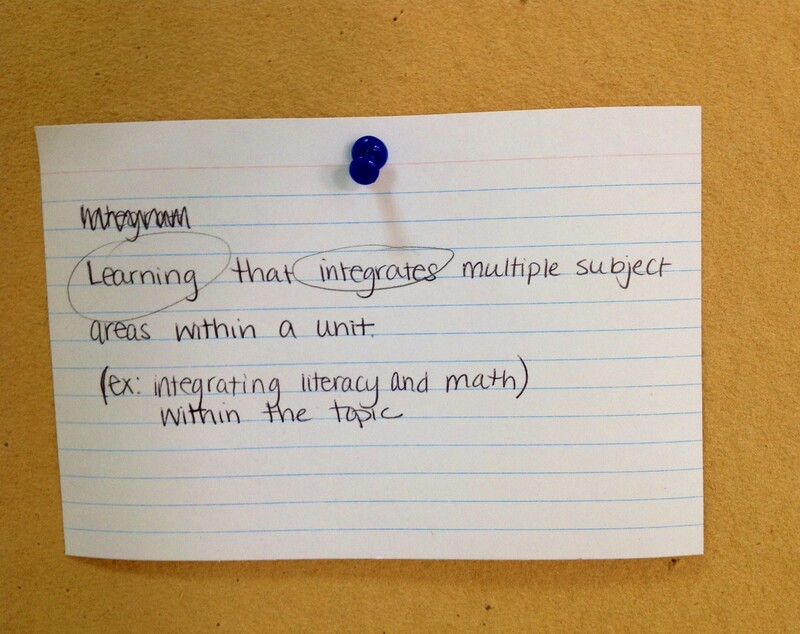 Which tasks are appropriate to share with the age of students I teach? 2. 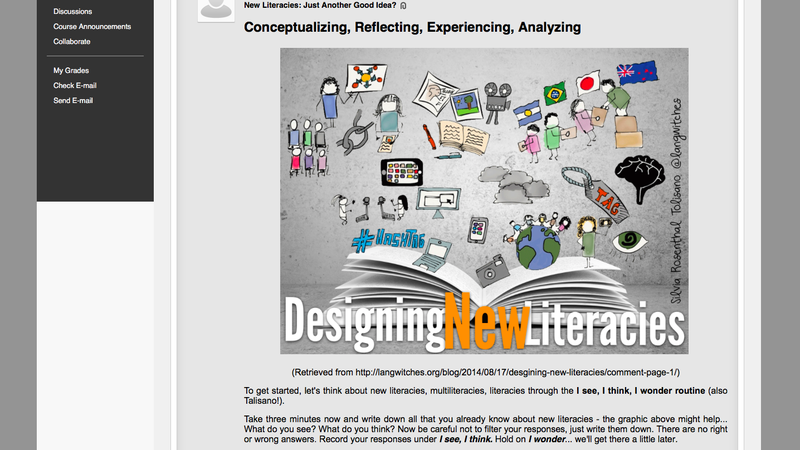 Is there purposeful literacy, math or transdisciplinary skills in this task for my students? 4. What questions can I ask to guide the process and maximize student thinking? To be perfectly honest, I have never tried this myself… but I wish I could have before I left the classroom! 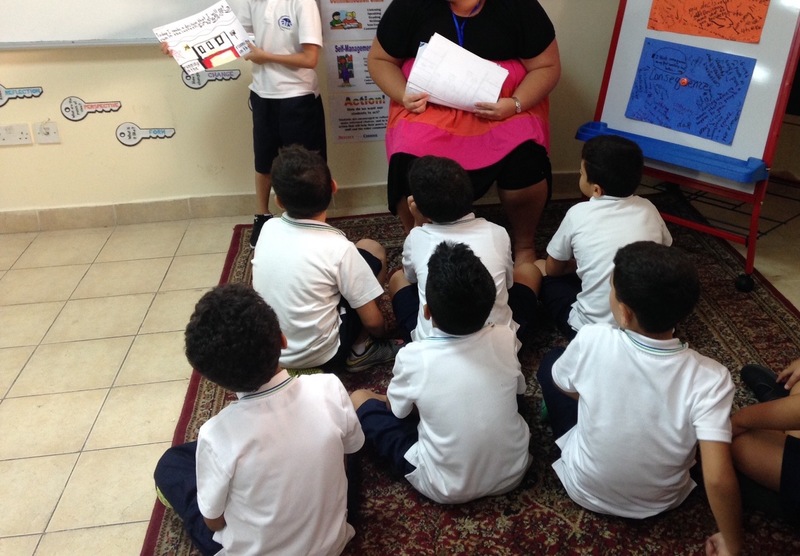 I think there are so many authentic literacy and math skills needed to set up a classroom that require social, communication, thinking and research and management skills – both by the students doing them and the teachers planning them! Have you ever tried this before with your class? Do you have any advice for teachers trying this for the first time? What other classroom set-up jobs would you add to the list? The Golden Goose of the PYP. This past year, our school adopted the Common Core State Standards for Literacy and Math and we have spent the year trying our best to integrate the standards into our PYP. We survived… and we did a pretty darn good job! 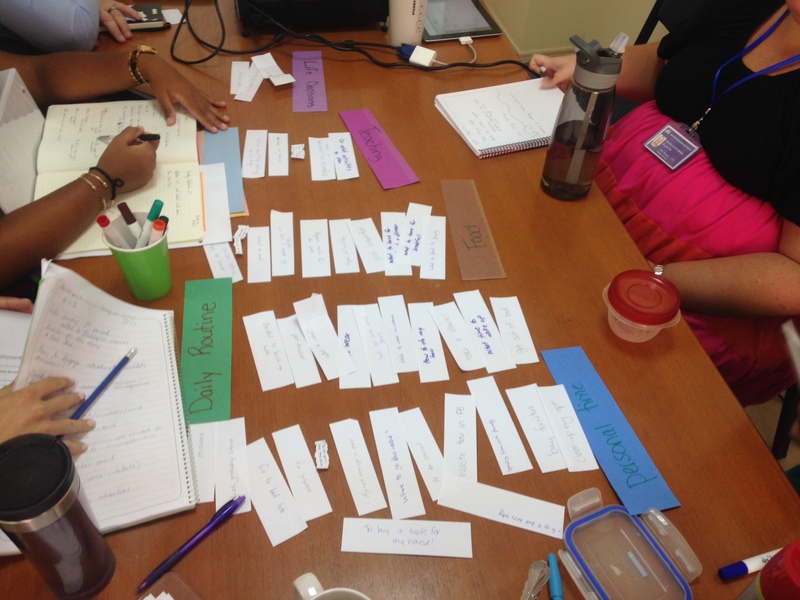 Now, as we begin to wrap up this year and think about next year, our teachers were chomping at the bit to “transdisciplinary-ify” (that ones definitely not a word) our language and math standards further. 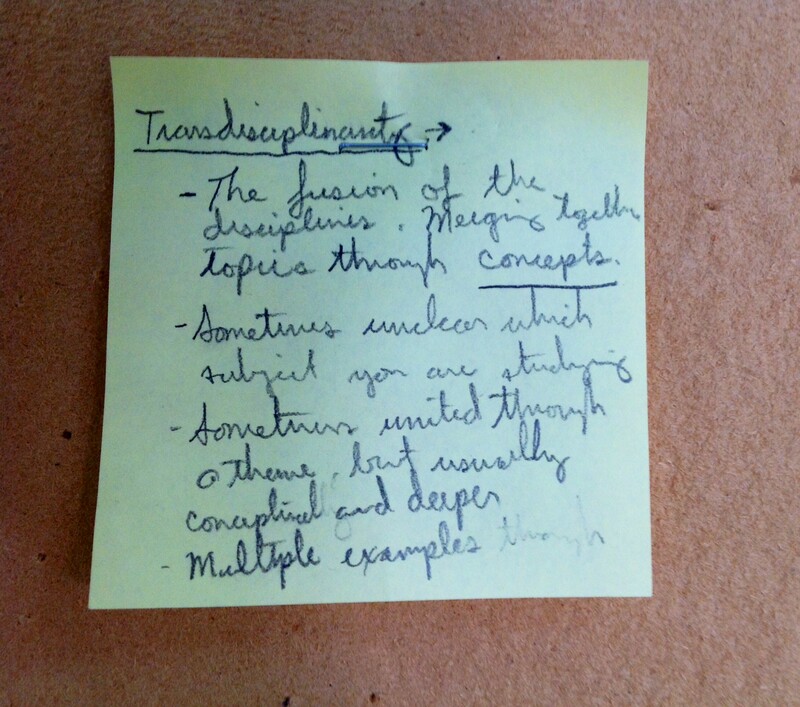 So we used one of our half day PD sessions to inquire into transdisciplinary learning. 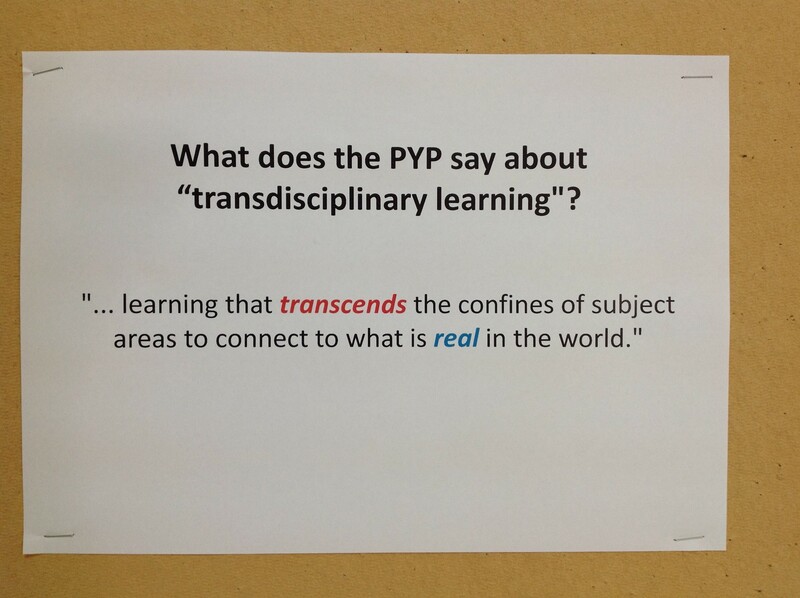 First our staff did a growing definition to tune into what they thought transdisciplinary learning was all about. 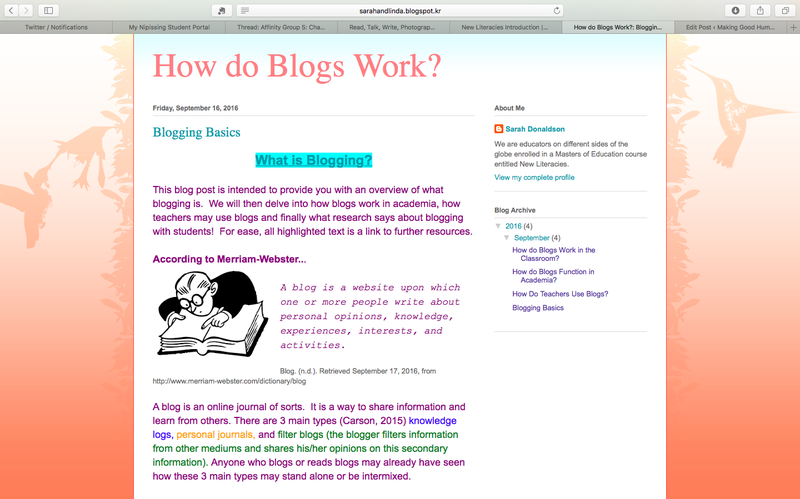 within the context of your Unit of Inquiry? Finally we gave teams the rest of the afternoon to look at the Common Core State Standards with fresh eyes, through the lens of transdisciplinarity. The result was amazing! All of our teams ended the day with a more transdisciplinary math and literacy scope and sequence. Some teams even ended up with no stand-alones! Hopefully these documents will help to guide our thinking more next year about how math and literacy can serve the units of inquiry. It will be interesting to come back and look at these documents at the end of next year and reflect on how we can refine them again to further enhance the opportunities for transdisciplinary learning. As we often say to our students…once you’re done, you’ve just begun!